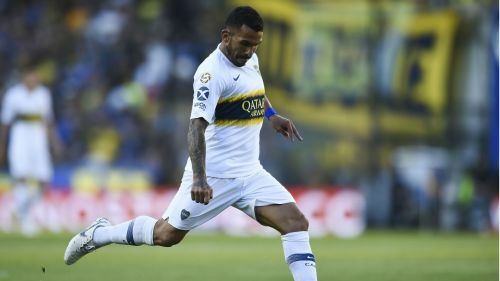 Boca Juniors forward Carlos Tevez dismissed suggestions River Plate are at a disadvantage following the contentious rescheduling of the Copa Libertadores final in Madrid. The bitter Buenos Aires rivals will meet at the Santiago Bernabeu on Sunday in the second leg of South American football's showpiece club clash. The scoreline is 2-2 on aggregate following the initial meeting at La Bombonera – a detail that almost feels like a footnote after the events that led to a twice-postponed second leg and its subsequent fallout. A group of River fans attacked the Boca team bus as it approached El Monumental on November 24, with visiting captain Pablo Perez and team-mate Gonzalo Lamardo taken to hospital to have potential eye injuries checked out. Other Boca players appeared to have been affected by tear gas that police deployed to disperse the flashpoint and, after two delays to kick-off, the match was suspended. A hasty rescheduling for the following day failed to get off the ground, with CONMEBOL accepting Boca's stance that it would be impossible for the game to take place under conditions of "sporting equality". Both clubs have since protested the move to Madrid after numerous alternative venues were floated and veteran former Manchester City and Juventus star Tevez is keen for football to finally do the talking. Speaking to reporters at Las Rozas, the Spanish national team's training base where Boca undertook their Thursday session, Tevez said: "It's a weird final. To play a match between Boca and River in Madrid, it's weird. But, as a player, it's important to stay focused on the match." On the possible disadvantage dealt to River, who are effectively playing without the home leg that Boca enjoyed last month, the 34-year-old suggested they might benefit from the reduced scrutiny. "River have a lot more pressure playing at home and now it is 50-50," he said. "To play at home, sometimes it goes against you in a Libertadores final. "I want to thank Spain, they always have a warm welcome for us. We're happy somehow that they choose Spain and not some other country, but also sad because we couldn't play the final in our country. "It's sad because we, the players, don't deserved to have to go to another country and play the final in another country." Experienced Boca Juniors midfielder Fernando Gago is back at his old stomping ground as a former Real Madrid player. However, he shares Tevez's sentiment that, whatever the outcome, this unusual spectacle is a regrettable state of affairs. "Honestly, I think the best thing was to play it in South America, in River's stadium as planned," he said. "It's a Libertadores final, it was a good thing for Argentinian and South American football. "Sadly we had to come to play here. Anyway, I know this stadium. I lived many important things in my career there so I'm happy about that."